Mariners Cottage in Lindale, near Grange-over-Sands, Cumbria sleeps 7 people. 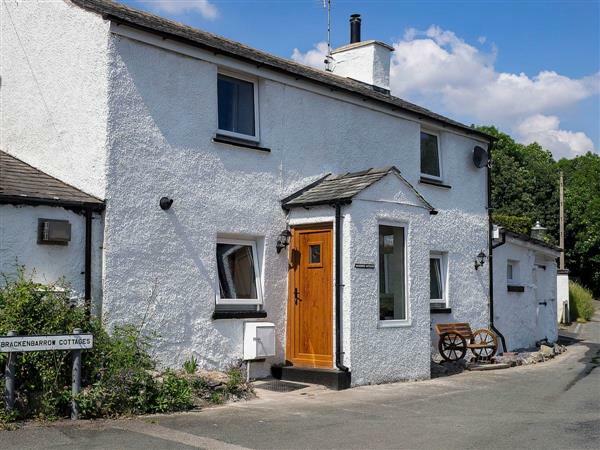 Mariner’s Cottage near Grange-over-Sands is nestled in the peaceful village of Lindale near to Grange-over-Sands and only a short drive from Fell Foot at Lake Windermere. It has been refurbished from a former farm building to a very good standard. Lindale is ideally situated for visiting the Lake District and discovering all that it has to offer. Located only a few miles from the village of Cartmel, famous for its sticky toffee pudding and well-known racecourse, holding nine race meetings each year. The property is ideal to return to after a day’s exploring the Lakes. Why not relax with a glass of your favourite tipple in the private hot tub, then light up the barbecue and watch the sunset. The beach is 2 miles from Mariner’s Cottage near Grange-over-Sands. With the shop 300 yards, the pub is 800 yards, and the restaurant is 3 miles from Mariner’s Cottage. Living room: With multi-fuel burner, 32’’ Freeview Smart TV, DVD player and tiled floor. Gas central heating, gas, electricity, bed linen, towels and Wi-Fi included. Initial fuel for multi-fuel burner included. Travel cot, highchair and stairgate. Welcome pack. Enclosed garden with patio, garden furniture and barbeque. Hot tub for 6 (private). Bike store. On road parking. No smoking. Please note: There are steps to the garden and the hot tub, and a slight sloping bank. Holidays at Mariners Cottage run from Saturday to Saturday. For a better idea of where Mariners Cottage is, you can see Mariners Cottage on the map below. Mariners Cottage is in Cumbria; should you be on the lookout for a special offer, you can find all the special offers in Cumbria. It's always worth checking to see what is on offer at the moment. Do you want to holiday near Mariners Cottage (UK1273), you can see other cottages within 25 miles of Mariners Cottage; have a look to find your perfect holiday location.